Out of all the commonly used sharpening methods, waterstones are generally considered to give the best results. And out of all the waterstones on the market, both manmade and natural, Norton stones are tops for performance. Using water as the lubricant, waterstones develop a fast cutting slurry. By going through a carefully planned sequence of sharpening (ever finer grits), tools can be brought to razor sharpness with great efficiency. Because of the softness of the material, waterstones do wear concave with use and require periodic re-flattening. We recommend Norton's Flattening and Prep Stones for flattening and conditioning of waterstones. This is the perfect package for anyone who likes to sharpen their own tools! 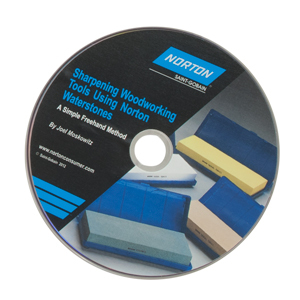 The Norton Waterstone Combination Package comes with all the essentials you will need to start sharpening, including: the 220 / 1000 waterstone, the 4000 / 8000 waterstone and the flattening stone. The flattening stone is used for flattening your waterstones for a clean smooth cut. This kit also comes with a handy users guide along with protective storage cases for all of the waterstones and the flattening stone. FREE Sharpening DVD & 10" x 13-1/2" Waterstone Tray with purchase of the Waterstone Combination Package! 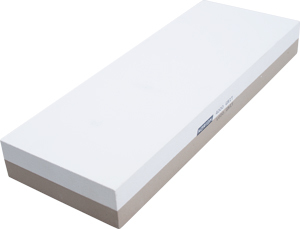 These Sharpening trays are ideal for holding your waterstone while you sharpen your tools. The tray has a non-skid pad to hold your stone in place while you work and keeps your work area dry. This stone features a 220 grit. This is an extra coarse grit used for edge repair. Comes with blue plastic hinged case for storage. 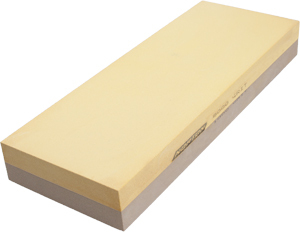 Size: 8" x 3" x 1"
The 1000 grit is perfect for establishing a sharp edge. The 4000 grit side is used for maintaining a sharp edge. This stone features an 8000 grit. This grit is extra fine and is used for mirror finishes and polishing. This stone features a 220 and a 1000 grit. 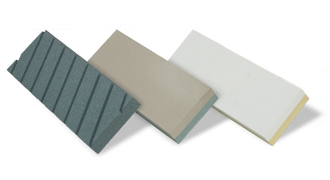 The 220 grit side is an extra coarse grit used for edge repair, while the 1000 grit side is a coarse grit used for establishing an edge. This combination sharpening stone from Norton features both a coarse and medium grit side. The 1000 grit is perfect for establishing a sharp edge, while the opposite 4000 grit side is used for maintaining that edge. This waterstone features a 4000 grit and an 8000 grit. The 4000 grit side is fine, used for edge maintenance. The 8000 grit side is extra fine used for mirror finishes / polishing. 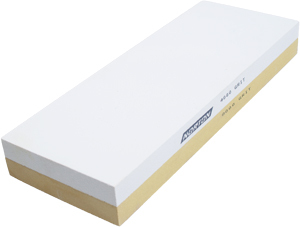 The Norton 8000 grit finishing stone quickly puts a long lasting mirror edge on chisels and blades. Start with Norton 1000 grit side to raise a wire edge and get a good polish. Switch to the 8000 grit side to remove the wire edge and to add a micro bevel and mirror edge. 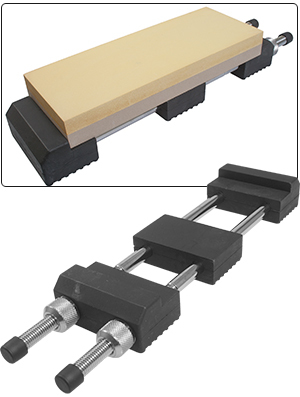 A low cost, easy-to-use flattening method for all grit sizes of water stones. The coarse grit silicon carbide promotes maximum cutting while the diagonal grooves provide a swarf removal exit during the process. Engineered for superb flatness with a very hard bond, it produces an extremely flat result on all sizes of waterstones. Comes with plastic hinged case for storage. 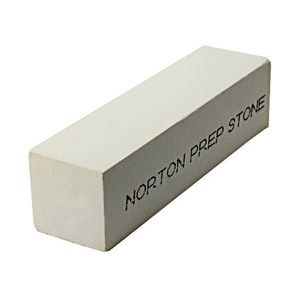 The Norton Prep Stone is an artificial stone used for raising an edge cutting slurry on fine grit stones. It evens high spots, and reduces the frequency of intensive flattening of stones. Size: 20mm x 20 mm x 3"
One of the most important single skills to learn in woodworking is how to sharpen. Unlike pretty much anything on sharpening out there, this video emphasizes the basic technique of how to hold a chisel free hand, move it on a stone, and create a professional edge very easily. It's a short video because it sticks to the basics. But if you watch it and practice, you will be able to sharpen anything easily with no more equipment than a set of waterstones and a way to flatten them. It's not hard. You just need to learn some basic hand-holding technique, and you will be sharpening quickly, easily, and with no danger of stone contamination from a jig. Woodworkers have been sharpening for thousands of years, and it's the first thing an apprentice needed to do. Once you've learned the skill, you'll have it for life! 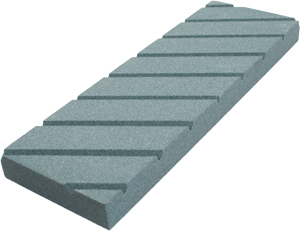 Heavy rubber blocks hold stones from 1-1/2" to 9" long with excellent traction on any surface. The end block adjusts easily on smooth, chrome-plated steel rods, while its tight fit resists fouling while sharpening debris.